When looking for a powerchair or electric wheelchair you’re never going to find one model that suits everyone’s requirements. That’s why any good mobility shop will have a range of different models in stock which are specifically designed for Indoor use, outdoor use, or both. At Cavendish Health Care, we always take feedback from our customers extremely seriously. In fact, based on the feedback we receive our buying department is constantly looking for mobility equipment that will provide our customers with more options. 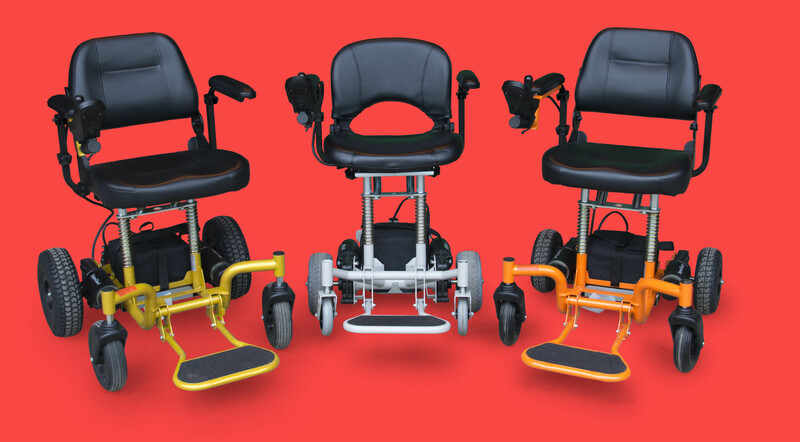 What makes the SupaChair different from other powerchairs? It was an exciting time when we stumbled across the SupaChair Range. It's the sheer variety of the different models that make them stand out from the crowd. They have been specifically designed to help you move around in confined spaces – whether that's in your house, flat or bungalow. Don’t let the size of these powerchairs fool you. As well as having an acute turning circle and excellent manoeuvrability, each one has been manufactured to provide you with ample legroom and superior ride quality. For safety, all the SupaChair models are equipped with anti-tip wheels and a highly responsive joystick which will help you maintain control during use. After an hour or two behind the controls, you’ll be weaving around obstacles like a pro! This has been designed specifically for indoor use. 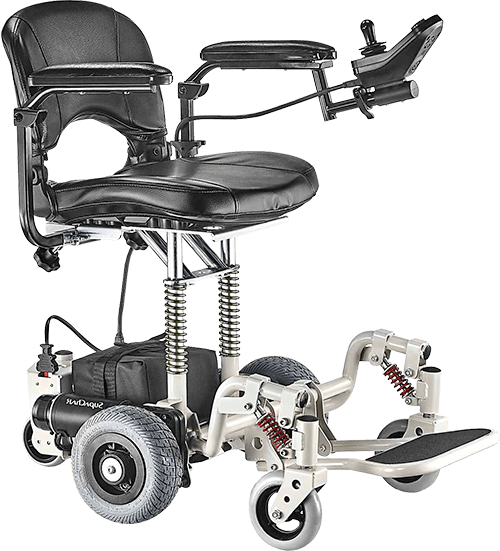 In fact, it is the only mid-wheel drive indoor powerchair on the market today. As soon as you start using this powerchair it feels well manufactured and its outstanding manoeuvrability gives you the freedom to move around your home with confidence. This powerchair provides you with the ability to access those rooms that are limited for space. Comfortably navigate your way around furniture, enter and exit bathrooms, bedrooms and turn 360 degrees within a narrow hallway. Lightweight and compact, it’s the perfect powerchair that you’ll be able to take almost anywhere. Thanks to the modular design, it can be assembled or disassembled in a matter of seconds. This powerchair is ideal to be used within your home or for those essential shopping trips; which is where you really feel the benefit of its sprung suspension. The Safari Sport has been designed more for outdoor use. 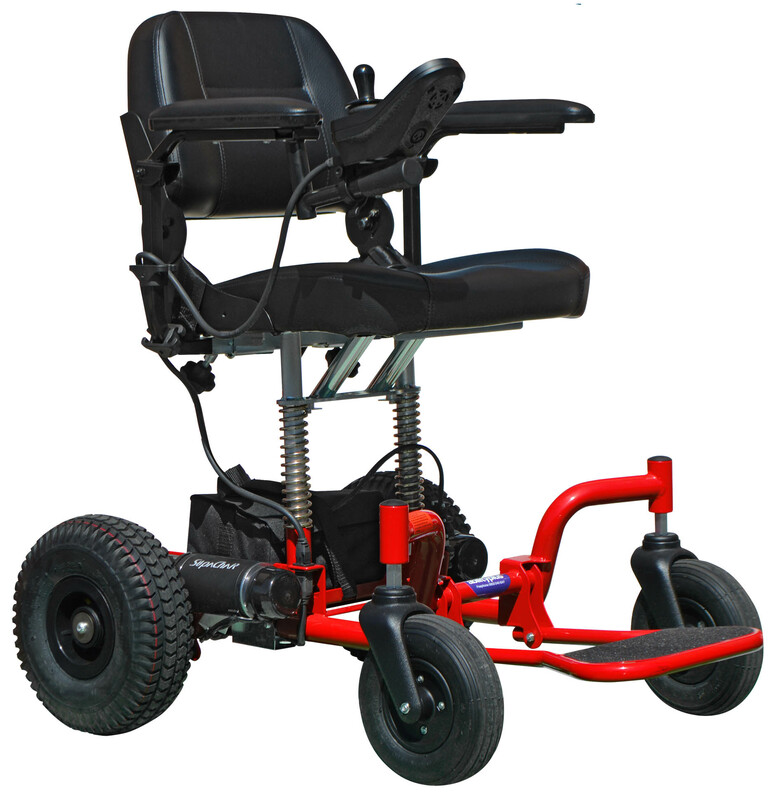 It has larger wheels and motor which lends itself well to uneven terrain and inclines. Like the Mini, it is still small enough to navigate small spaces in your home and fit in most car boot spaces. The Safari Sport keeps the outstanding manoeuvrability of the range, and has a user weight of up to 19 stone. With that in mind, it provides the versatility for outdoor use and for those little trips to the local shops. The SupaChair Combi is a manual wheelchair and powerchair in one expertly designed package which folds away easily for quick storage. The comfort level and range of adjustment on the Combi exceeds that of most electric wheelchairs; even experienced users are impressed with the performance and ease of use. It can be transformed within seconds to a manual wheelchair. 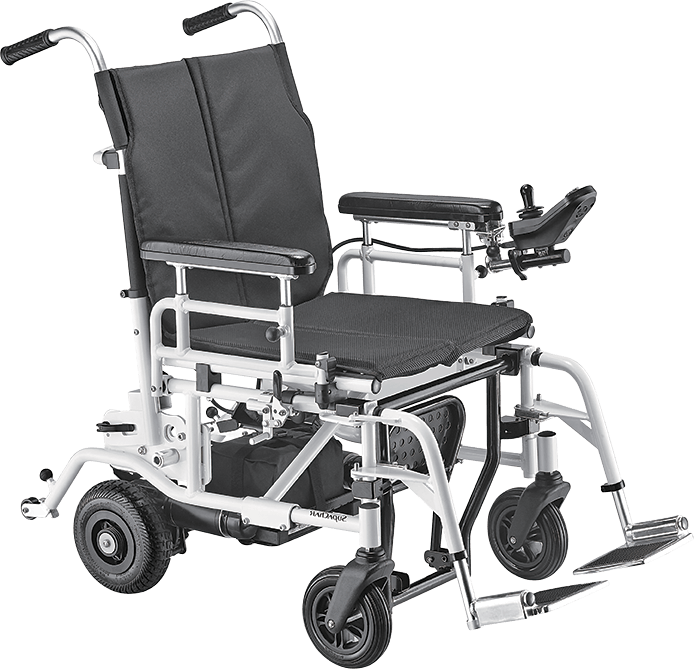 The quick release axels mean the wheelchair can be folded and ready for storage or transportation within seconds. We believe that the SupaChair Range has something for everyone. Alternatively, give us a call on 02392 255600 and ask for a FREE brochure or demonstration in one of our showrooms. Did you know we also have a range of lightweight folding mobility scooters called the SupaScoota?